Summer is here! This recipe is all about celebrating seasonal berries and fruit, vacation time, sun, and refreshing food. Could you ask for a better combination? The patriotic colors are in honor of July 4th weekend, and it’s the prefect recipe to make for dessert at your weekend barbeque, that’s also kid-friendly. The creamy vanilla banana nice-cream will tease your taste buds into thinking you’re indulging in a sinful bowl of ice cream, but really its just fruit! The strawberry sauce that swirls perfectly into the banana nice-cream, adds a tartness and strawberry sauce flavor. Almost sinful, but you don’t have to feel bad about eating any of these ingredients, because they are all pure all-natural ingredients. Take advantage of these seasonal berries, and eat them up with this vanilla banana nice-cream bowl. Simple, tasty, cooling, creamy, and patriotic. Talk about the perfect July 4th dessert recipe! 1. Blend together all rawberry sauce ingredients together until the mixture reaches a smooth consistency. 2. In a food processor, blend together the vanilla banana nice-cream ingredients until the mixture is thick and creamy. 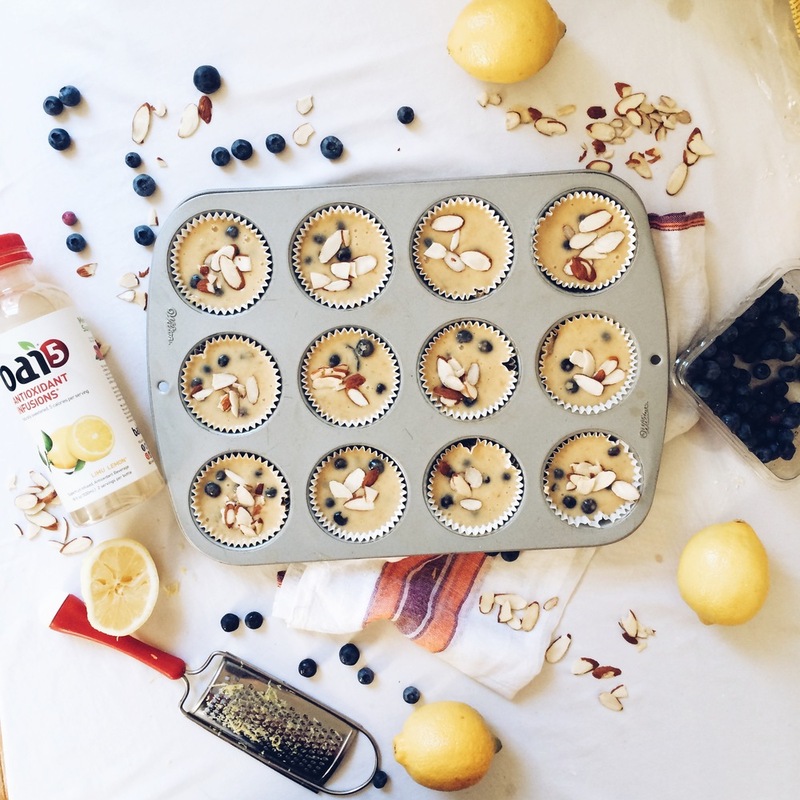 You might need to add more almond milk to the recipe if the bananas aren’t blending. Add a tbsp. more of the almond milk at a time if necessary. 3. Pour the nice-cream mixture into a bowl, swirl in the rawberry sauce. Then top off the bowl with frozen raspberries, fresh blueberries, and coconut chips. Enjoy this deliciousness! These brownies are moist, gooey, chocolaty and sweet. But, guess what? They are also good for you! You can eat these date-sweetened treats as a snack, breakfast or the perfect dessert. 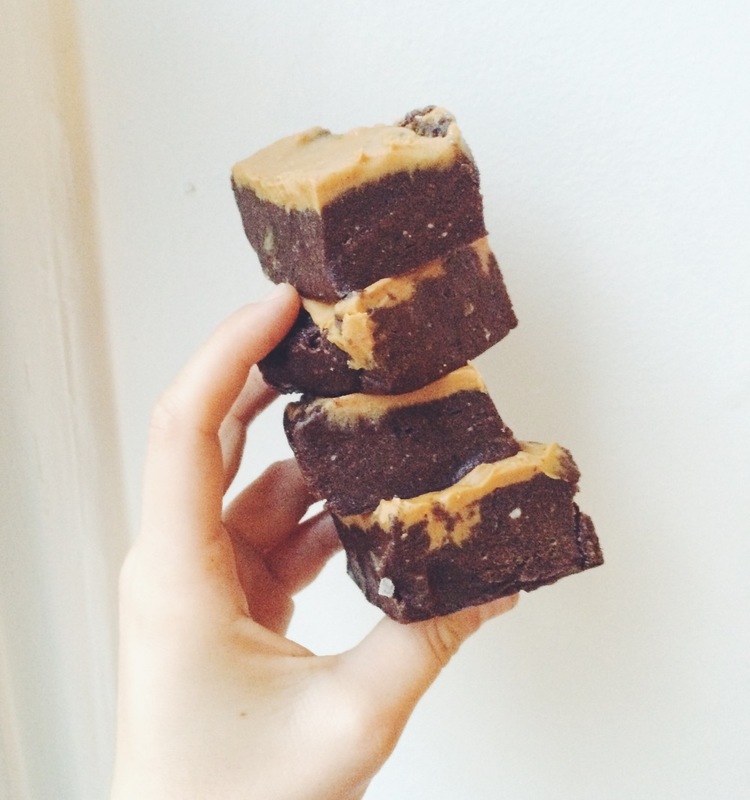 You may be thinking to yourself, a brownie recipe that makes you feel and look beautiful!? Sign me up! Did you know that raw cocao is rich in magnesium, dietary fiber, and antioxidants including flavnols and polyphenols? The antioxidants found in cocao prevent premature aging. These nutrients protect our cells from premature oxidation or destruction and can keep us looking and feeling younger longer. The more cocao you eat the more you will notice glowing skin and improved skin texture. In 2006 the Journal of Nutrition found that women who drank cacao with at least 326 mg of flavonals a day had better skin texture, improved microcirculation, increased oxygen saturation, and improved skin hydration than those didn’t. Did you know that cocao can prevent sunburns? A recent study by London scientists found participants who ate 20 grams of cacao for 12 weeks were able to stay in the sun for twice as long as those who didn’t, without getting sunburned. In addition, German scientists found that cacao may protect against harmful UV rays that cause cancer. Cocao is also known to fight tooth decay. Recent studies from Tulane University discovered that an extract of cocoa powder was even more effective than fluoride in preventing cavities. This crystalline extract similar to caffeine helps harden teeth enamel. Cocao’s high sulfur content also makes your hair shiny, gives you stronger nails, and detoxifies the liver and pancreas. Add raw cocao to your coffee, oatmeal, smoothies, and brownies, and you’ll begin to glow! 1. Preheat oven to 350’F. 2. Grease and dust flour over a 8 x 8 nonstick pan. 3. Blend all ingredients together in a food processor until mixture is gooey and thick. 4. You can add a bit more almond milk to make the batter gooier. Spread batter evenly over pan. 6. Cut brownies into squares and dust brownies with cocao powder. I've been coming across fudgey raw brownie recipes lately, and they've been calling my name. So I finally decided to give in and make a batch. Of course they didn't disappoint. Chocolate goodness topped off with creamy peanut butter. 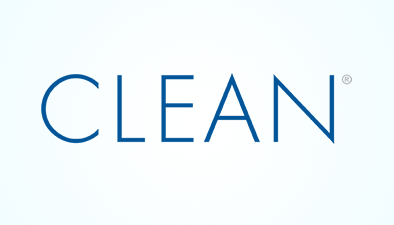 No added sugar, just pure all-natural raw, vegan and gluten-free ingredients. These would be great to make for friends, or a dinner party. I know you'll want to eel them all to yourself once you make them, but spread the love, or the brownies in this case. ;) Hope you enjoy! 1. Blend all ingredients except the peanut butter in a food processor until fully combined. You may need to add a bit more flour if batter is too gooey. 2. Put wax paper in a loaf pan. Spread batter evenly. 3. Spread peanut butter on top, you can add more if you'd like. Lightly sprinkle more salt on top. 4. Place in freezer for about 2 hours. 5. Cut and serve. Enjoy! 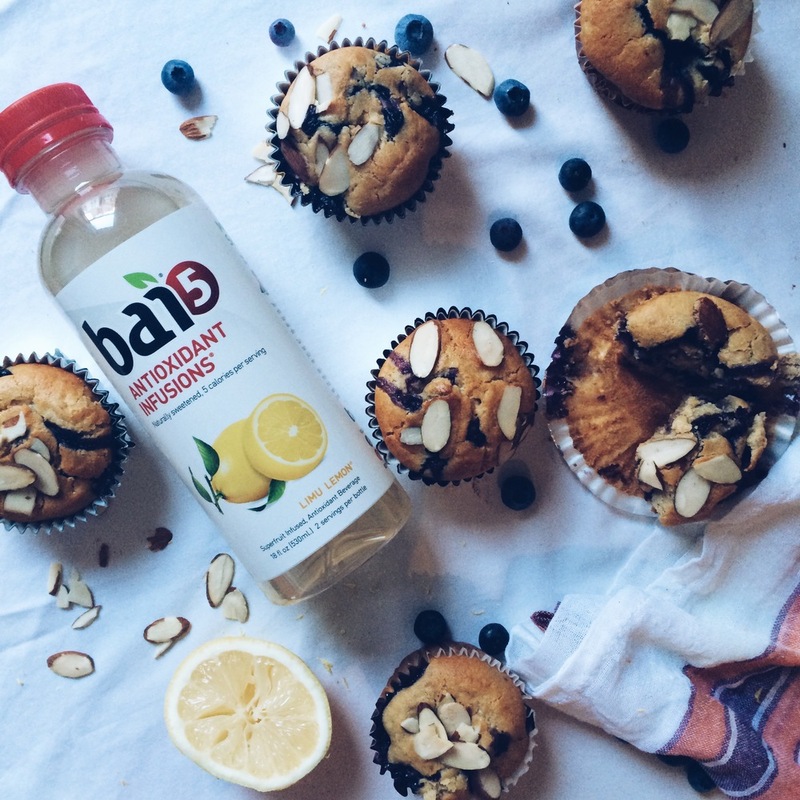 When I first tasted the Limu Lemon Bai5 flavor I was immediately reminded of my favorite childhood muffins, lemon blueberry. 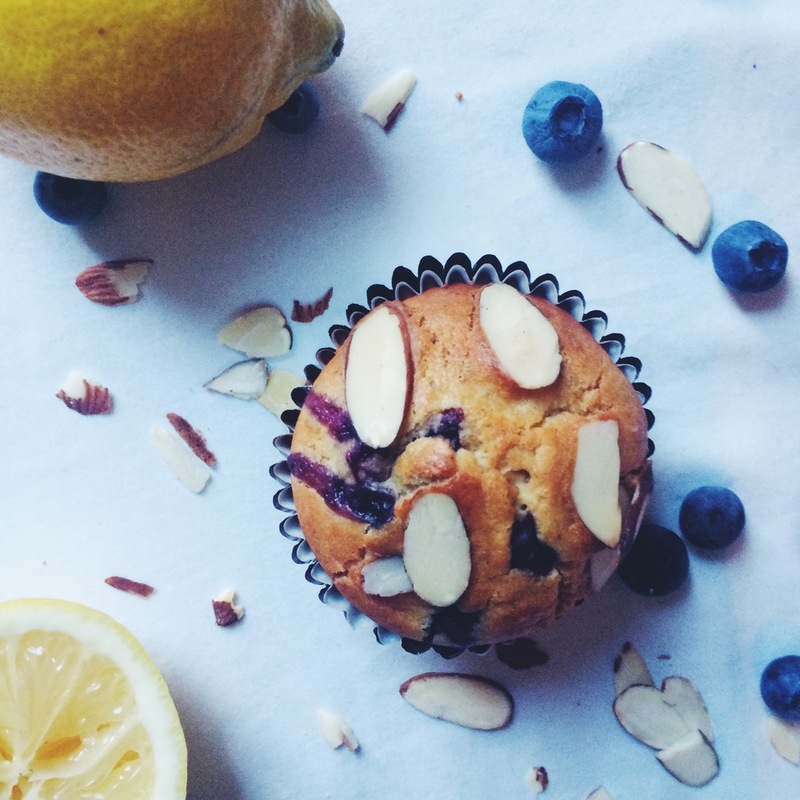 The tart and sweet lemon flavor is refreshing and crisp, and I knew it would work perfectly in a muffin recipe. If you’re a lemon fan like me you’ll love this recipe. 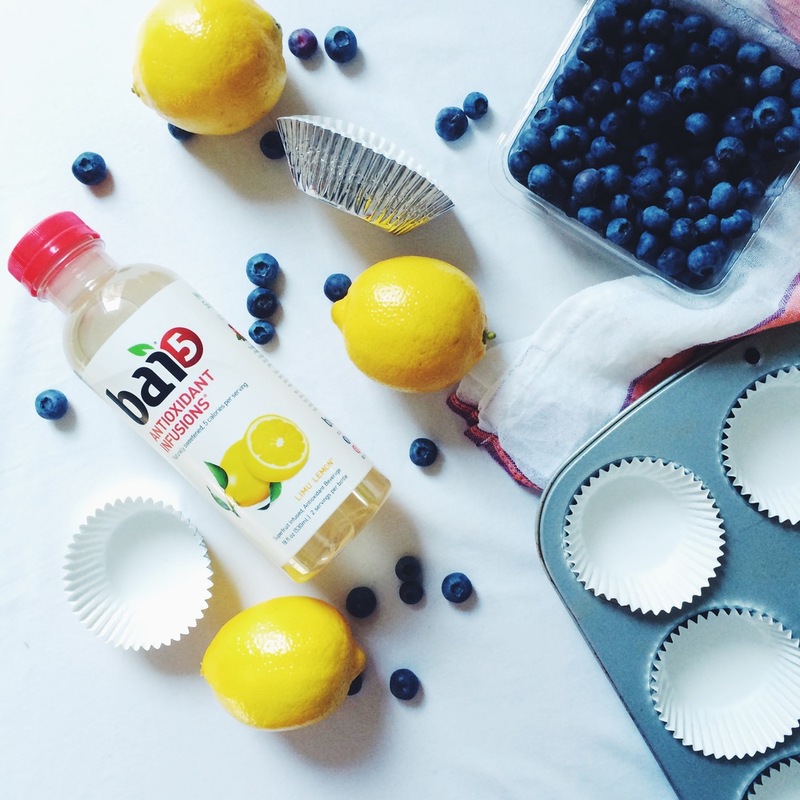 The combination of the Bai5 Limu Lemon mixed with the fresh lemon zest and juice will have your taste buds singing. Lemons are super detoxifying and healing, as well as delicious and tart. This recipe is easy to make and a great snack or breakfast option. You can use frozen or fresh blueberries in this recipe, but I prefer fresh, because they add more flavor. This recipe is dairy-free, gluten-free, and refined sugar free. I always like to use natural sweeteners that are low glycemic. Using sweeteners like honey or maple syrup as opposed to processed and refined white sugar, allows for your blood sugar levels to increase less rapidly and your body will digest the natural sugars more slowly. So you won’t get a sugar rush and crash from it later on, and then crave more sugar. This can be a vicious sugar cycle, but none of that here! I even will blend dates and bananas into recipes for added sweetness, and they add so much flavor! Next time you’re baking, making oatmeal, smoothies, or savory dishes, you can think to yourself, could I substitute natural sweeteners instead of refined sugar? Your body will thank you. Preheat oven to 375 degrees. Line a muffin tin with cups. In a large bowl, mix together gluten free flour, salt, flaxseed meal and baking powder. In a small saucepan, melt coconut oil over low heat and remove from flame. In a small bowl add coconut oil with maple syrup, Bai5 Limu Lemon and unsweetened almond milk. Fold in vanilla, lemon juice, zest, mashed banana and blueberries. 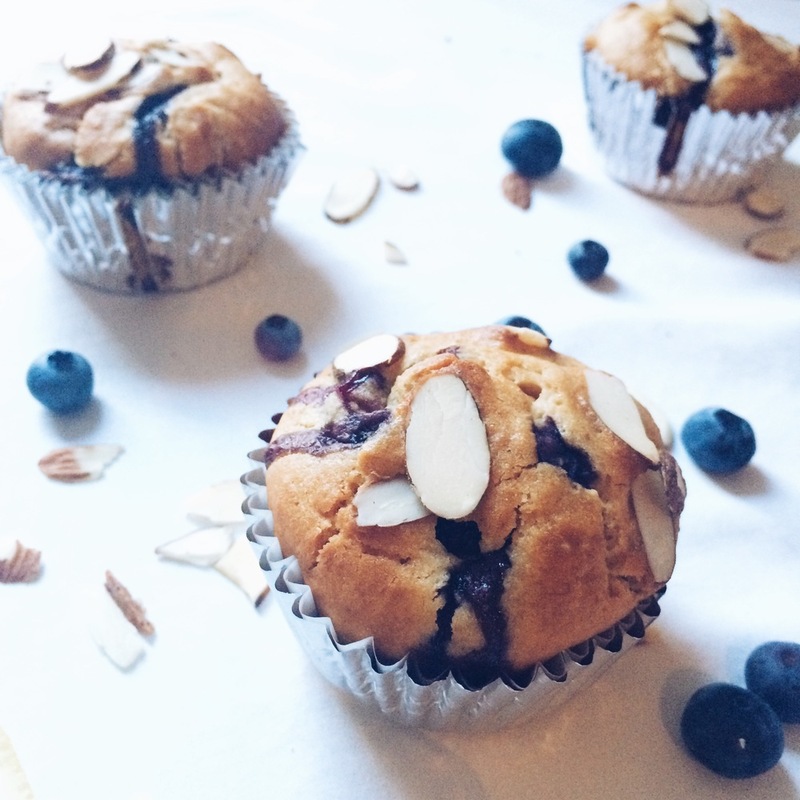 Spoon into muffin cups, top with slivered almonds. Bake for 20 minutes or until tops are golden brown and center of muffin is set. Let cool and enjoy warm! Being a foodie and following a plethora of health and food related Instagram accounts, always gets my creative juices flowing. When I first began my journey into eating a plant-based vegan diet, I realized there are so many recipes to create out there! I even realized how much more I enjoyed the taste of veggies compared to meat. Everyone is different, this is just my own personal preference at this point in my life. By following all these foodie accounts I not only became inspired to try new ways of cooking, but I also re-discovered my love for cooking! It also pushed me to mix up my daily menu. You know when you get in the rhythm of cooking the same 3-4 staple meals almost every week for a while, and then you feel as if there are no other simple recipes on the planet to make? An then become overwhelmed with cooking all together? Yeah…it happens to the best of us. The best thing I can recommend in times like this, is to look online and see was inspiration is out there!. It doesn’t have to be a grand meal, it can be a simple 4 ingredient meal. You can even type in to your search engine what ingredients you have in your kitchen to see what you can make out of them. Or just type in something that you are craving. I’ve following other accounts for a while now, posting decadent vegan desserts and breakfast jars, and my mouth has been watering and waiting to create a recipe similar! So I grabbed inspiration from a few pictures and recipes I saw, and tada! A masterpiece was born! I have to warn you, once you make these layered jars once, you will never go back! That’s the thing I love MOST about cooking with whole foods, you don’t have to do much to make the food taste good, because your ingredients will shine through no matter what! (As long as you pair flavors together well, of course). This is a great breakfast for in the summer time, or as dessert! The overnight oats are creamy, rich, and chocolaty, and the banana-nice cream mixed with peanut butter is the perfect mixture! The toppings add a crunchy chewy texture and will have you scooping around for more! Have fun, and mix up whatever flavors and toppings you have in your kitchen! Make chocolate oatmeal night before. Mix together ingredients and store in fridge overnight. Add layer of shredded coconut on top of oatmeal. Blend together peanut butter nice-cream ingredients. Add on top. Mix together chocolate sauce ingredients. Pour on top. Sprinkle on top cocao nibs and sliced dates. Enjoy this gooey heavenly jar! This recipe is called “nice-cream” for a reason. It’s hot outside, but that doesn’t mean you have to reach for a pint of Ben and Jerry’s ice cream. Nice-cream is nice to you. You won’t feel bloated, heavy, or guilty after eating it! The base is banana, and thats what gives it a richness and creaminess similar to milk based ice creams. Also, making this at home yourself, you know and are in control of what goes into your bowl and body. It’s so simple and easy to make! Banana nice-cream is versatile too. You can mix in any frozen berries of your liking, dates, dark chocolate, shredded coconut, cocao nibs, get creative! For this recipe I chose to use what I had in my kitchen, and it didn’t disappoint! So I chose to mix my nice-cream with almond butter and crunchy raw almonds. Ever since I have become a Holistic Health Coach, all my friends ask me, “do you ever eat anything unhealthy?” My philosophy is that you shouldn’t stress about eating a certain way, it should be manageable and good for you, and it shouldn’t take over your life and your thoughts. I’ve learned to listen to my body and manage my cravings. Now when I crave sugar, I reach for a banana and top it off with nut butter and cinnamon, or a piece of 72% dark chocolate. These have become my guilty pleasures, and in the summer my favorite is icy cold banana nice-cream! It’s not about withholding from your cravings, its about listening to what your body is telling you that you need. Under stress you may want to eat more, and more unhealthy foods, like fried, processed, and sugary foods. But instead, reach for a handful of nuts, or fruit. Don’t fill your body with food that will make you feel worse. It takes time to have this control, but I recommend always having healthy foods that you love on hand. Don’t allow yourself to be tempted by that candy bar or chips by having them at home. Revamp your pantry and kitchen into a beautiful healthy food sanctuary, where you go to nurture your body, not abuse it. When you do this, and stock up on fresh fruits and vegetable, nuts, and dried fruits to snack on, you become in control of your food options and can manage your cravings more easily because you are introducing new temptations into your life, like oatmeal, dark chocolate, and peanut butter and banana on toast. I hope this recipe becomes one of your guilty pleasures to reach for in the summertime, and get creative with the flavors! 3 ripe bananas sliced (frozen overnight) 2 large TBSP almond butter (I used Justin’s Maple Almond Butter) 4 TBSP unsweetened almond milk 1/4 cup raw almonds 1. Freeze sliced banana overnight. 2. Place banana, almond butter, and almond milk into food processor or good quality blender and blend until smooth and creamy. You may need to add more almond milk, but add in a TBSP at a time until it reaches a smooth consistency. 3. Top off the nice-cream with roughly chopped raw almonds, and enjoy!